A fine name in the business and accounting sector in the UK, DNS Accountants came into being in 2005 when our founders decided to cater to the need for tax planning and tax saving issues that small businesses face. Since then we have become one of the leading accountancy firms in Woking and other areas of the UK. At that time, in the UK, much attention wasn't paid to start-ups and was thought of as just another budding dream that would soon bite the dust like a lot of others had before. But with the formation of DNS Accountants and our tax saving, financial planning and accounts management services for small start-ups, small businesses, freelancers, and contractors, things changed for good. The graph of successful small businesses has seen a rise since then. Ever since 2005, DNS has grown exponentially, we have been nominated for a number of awards, won many of them, developed an online accounting software and have achieved copious milestones through our unparalleled dedication to work. We won the online accountant of the year award in 2013 and received the much sought after accreditation from IPSE in 2015. Since we started, we have been working towards backing small start-ups and contractors through our accountants in Woking and nearby areas to build a nation that is both economically and financially strong and takes care of both the employer and employee. Our Tax Accountants in Woking and another area, work towards making our clients' lives easier and stress-free by providing the right kind of tax solutions. Woking, a bustling business town, is situated in West of Surrey, United Kingdom. Woking boasts a modern yet prospering economy. The educational workforce in the city of Woking is good and is above average in the whole of UK. Common professions are managers, technical experts, and professionals. General working public is mostly involved in private jobs, and the government earns revenue through taxes. A number of firms are situated in Woking that helps build a business strong foothold that has major offices and accommodations in Woking. As a result, there is a huge requirement for expert accountants in Woking. In order to cater to the needs of start-ups, small businesses, freelancers, and contractors, our team of expert accountants in Wokingham works round the clock and offers expert advice to help the management with the decision making. We also take care of the compound tax related issues with our expert tax accountants in Woking. 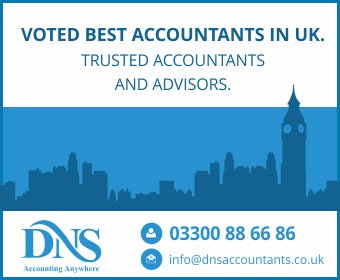 DNS Accountants, founded back in year 2005, is today one of the most trusted and highly reputed accountancy firm in UK with a strong team of highly qualified accountants. Professionals at DNS Accountants are committed to efficiently manage your accounting related needs and help you save more on taxes. The team comprises highly qualified accountants dedicated towards our valuable clients from all over UK. Our clients being business owners and contractors are left with little to no time to look into matters concerning Tax, Accounting, and Bookkeeping. These tasks are quite stressful even for professional Woking accountants themselves, let alone the owners. The various guidelines that have to be kept in mind can sometimes be messed up. Our experienced tax accountants in Woking cover all business matters like bookkeeping, business valuation, review of the financial performance, tax planning, statuary accounts, Payrolls and many others. At DNS, tax planning and tax services for the small businesses are provided by our professional tax accountants in Wokingham that helps our clients grow along with the nation. Our tax accountants help the firms identify the right time for mergers and acquisitions and prepare personal as well as corporate tax statements to save taxes and file the proper VAT returns. A chartered accountant has a very popular image of a complex person whose work is far from public mental grasp and quite complex. Chartered accountants can work in various positions and handle varied tasks as required such as financial managements, Management accountants, financial accountants and budget analysis. Our Chartered Accountants in Woking take active participation in designing the budgetary line of any firm. We assist in capital budgeting and realization of our clients fixed and movable assets to help you gain on the taxation front. We prepare all sorts of financial reports. The work of a chartered accountant is very intricate as they have to assume the role of an owner/manager and at the same time that of a vendor. Lots of knowledge of finance and accounting is a pre-requisite for this, and it is what our expert Chartered Accountants in Woking brings to the table. Providing high-end accounting services at DNS, care is taken to avoid any type of discrepancy. A number of businesses have a separate department that hires accounting managers and help understand the terminology better. With DNS accountants in Woking by your side, you don't need to worry about anything. Recording daily accounts, preparing reports and statements and taking care of the ledger is book-keeping. Billing, payroll, monthly and quarterly taxes, bank reconciliations, general ledger entries, and monthly trial balances are just some of the services our accountants in Wokingham Berkshire provide. Apart from providing the aforementioned services, the proper advice is extended to all our clients relating to tax planning to help them benefit from the various waivers available and reduce the tax burden on the business. Along with disaster prevention, risk management is also taken care of. We also ensure that all our clients are made aware of all the guidelines and policies that keep changing. These accountants work towards extending services that meet up the contract demands. The various statements agreed upon are kept in constant fulfillment by the contractor accountants in Woking. Contractor accountants run payroll for contractors; all HMRC-related correspondence is dealt with, and tax saving and tax planning matters are also looked into. Whether it's about self-assessment tax return or auto enrolment or IPSE membership, DNS Accountants in Woking are capable to manage all your requirements. So, whether you own a small to medium size business or have ventured into a new start-up, we offer accounting solutions & services for businesses of all sizes. So, if you're looking forward to have a chartered accountant in Woking, kindly drop us a line. Along with providing Accountants in Woking, we also extend our services to nearby regions of Egham, Guilford, Staines, Sunbury, Brookwood and Slough to help the businesses there survive and thrive like all our clients.